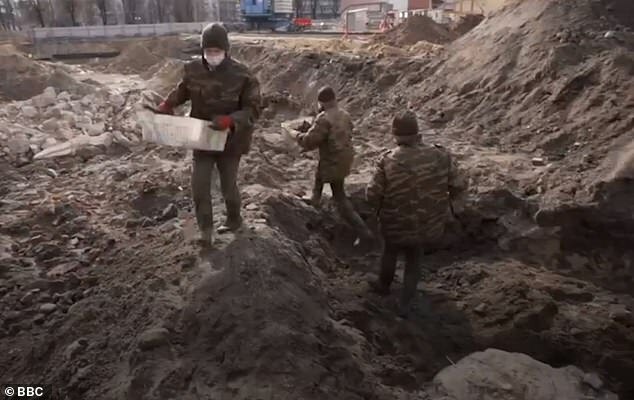 Specialist soldiers unearthing the remains of a Second World War mass grave in Belarus have discovered a harrowing female skeleton cradling the remains of a baby. 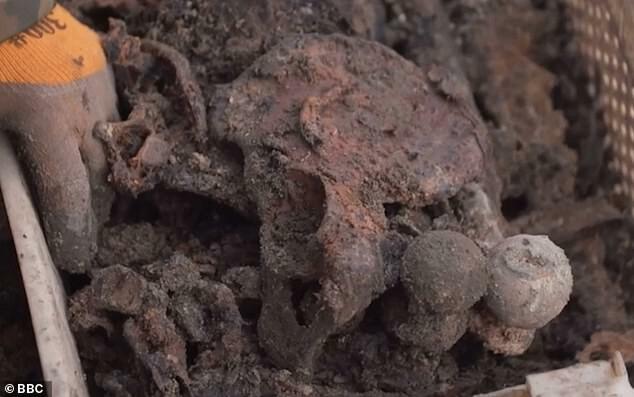 Footage shows the excavation of more than 1,000 Jews from the construction site in the city of Brest which was occupied by Nazi Germany in the 1940s. The site of the Nazi massacre - discovered on an old ghetto area earlier this year - was found after building work began on an elite apartment block. ‘There are clear bullet holes in the skulls,’ Dmitry Kaminsky, the military team leader, told the BBC. Almost half the 50,000 people in the Eastern European city were Jews before the start of the Second World War, but shortly after the German invasion in June 1941, the instruction came to wipe them out.